When you owe back taxes, chances are that Internal Revenue Service (IRS) penalties are also accruing on your outstanding tax debt. IRS tax settlements can take time and that's why it's best to move into the settlement process as quickly as possible. The IRS will closely examine your income, assets, current abilities and, possibly even your future earning potential. From this information, an assessment of your ability to pay will be made. The assessment can reduce the amount you owe, but it may not. For these reasons, its advisable to work with a tax professional who can help you understand your situation, how the IRS might view it, identify the actions you can take and help you correctly complete and file the necessary forms. Perhaps the best way to find a qualified tax specialist is to ask people you know and can offer solid advice. Such trustworthy sources can include professionals, such as your financial adviser or attorney, or you can ask at your bank or your realtor. Once you have some references, explore your options. Speak to each of the recommended tax advisers and check their reputations with organizations such as the Better Business Bureau and local consumer groups. Even with good advice from a legitimate IRS tax settlement professional, the process is difficult. Be careful and avoid service providers offering what sounds too easy solutions. Less reputable firms could end up making things harder for you – and put you further in debt. 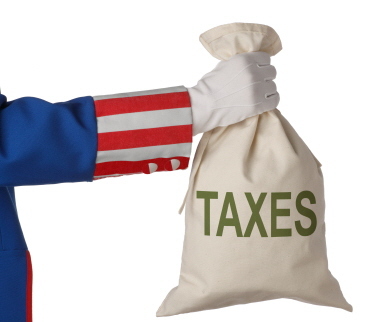 By far the most common outcome of an IRS tax settlement is an installment plan. Under this arrangement, you make monthly payments of a specific amount until you pay off your back tax debt. Payment plans stop IRS collection actions and also help those who cannot afford to pay off outstanding tax debt in one lump sum or in a few large payments without economic hardship. The IRS validates whether tax payments would cause someone to experience economic hardship through a very detailed financial review. These include salary and other income (sole proprietorships, trusts, estates or insurance payments), bank and credit accounts, cash value of life insurance, property, vehicles, furniture, jewelry artwork collectors' items and more. An IRS settlement plan must have a high priority on your debt payment schedule as a missed payment could void the entire agreement. For those who get into trouble while they are on a payment plan, the IRS might grant a hardship deferment. This would allow the taxpayer to stop making payments until their financial situation improves. The IRS then monitors their financial situation and once it improves, resumes collecting debt payments. If you want to try to lower the amount you owe, understand that this is extremely difficult. Two common routes are to ask the IRS to forgive interest and penalties or to make an Offer in Compromise. The IRS very rarely forgives interest on an original tax debt and only in very limited circumstances, such as if the IRS itself gave you bad advice – and you can prove it. Going for an abatement may be worthwhile if you can show reasonable cause why you could not pay your tax bill when it was due. Making an Offer in Compromise is basically an offer to pay an amount that's less than the outstanding tax debt. Even in rare cases when the IRS accepts an Offer in Compromise, the taxpayer is subject to stringent rules for several years following the agreement. If the rules are violated, the agreement could be void. Often, shadier firms tout the Offer in Compromise as a fast, easy path to an IRS tax settlement for just “pennies on the dollar,” This claim is just not true. How Generous is the IRS? Not very. The IRS works to collect as much of the original tax debt possible. Period. While the severe economic conditions of the last several years have resulted in IRS policy statements and pledges to be more lenient and compromising with taxpayers, this has not necessarily been the case. The IRS may adopt a more forgiving outlook, but even that doesn't mean those who owe back taxes would have it easy. The best thing to do is confront the problem and work toward a resolution quickly to keep the situation from becoming progressively worse over time. Talk to a tax professional to work out an IRS tax settlement and also a plan to avoid tax trouble in the future by paying on time. Every individual's tax and financial situation is different. You should consult with a qualified, professional tax adviser and financial adviser before making any decisions.